Today we recognize these unpopular ones as both brave and in the right. Their stories remind young readers that sometimes it is important to speak out against the popular opinions of the time. What are those opinions in today’s world? These fifteen men and women set stunning examples of standing up for what's right. Be inspired by their courage and perseverance when up against the odds. Whose unpopular beliefs today will be the truths of tomorrow? 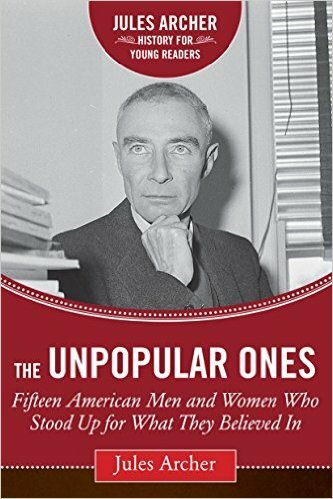 Will you be one of the unpopular ones? Great read for Isa. Heck we all enjoyed the read. 62 - 7 ... a book that can keep us all interested works! I think is is so important to learn why we have what we have. History has given us some very strong people to admire.